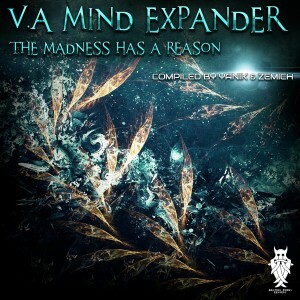 Melting Runes Records presents their tenth release, Mind Expander, a cooperation between label DJ Yanik (Germany) and label manager Zemich (Denmark). The tracks are well-selected to take you on a journey to the twisted, intelligent, and dark depths of psychedelic music. So fasten your seat belts, take a deep breath, and get ready to encounter the mind expanding reason of psygressive madness! We hope you enjoy this trippy journey as much as we do. Thanks a lot to everyone involved in creating this compilation! Mastered by Anti Logic Studio, Berlin, with artwork by Pandora. MP3 Download | FLAC Download | WAV Download · Download count: 7,942.
lOtS oF LoVe fRoM bOmBay! HOpE tO HeAr yOu PlAy HeRe! I am in love! Its been a very long time since i’ve heard something so original, in tears of joy!